Being creative provides many benefits for helping your fraternity stand out from the rest. It can bring in new members, make a favorable impression among those you meet and improve communications. The manner in which you keep your fraternity is a reflection on your brotherhood. Potential, new and tenured members need to feel proud of your organization. Do this by keeping your lodging in tip-top shape. Organize monthly cleaning parties where everyone pitches in to do his share. Do a thorough internal cleaning covering all your house’s nooks and crannies. If needed, have the fraternity leader assign specific duties to each member. Clean your exterior including the fraternity sign, mail box, porch, awnings and any markings. Remember to include landscaping and lawn upkeep in your fraternity’s clean-up effort. Your landscaping plays a key role in sparking interest from onlookers. As part of your recruitment, be sure to point out that your fraternity takes great pride in maintaining quality living quarters. Be creative in describing the history of your lodging. Getting all your brothers together to discuss the fraternity and its activities is a great way to increase unity, set goals for the upcoming year and develop plans of action. Schedule a meeting at an overall convenient time, such as during a week night when no exams are taking place. Form chairs into a circle to enhance discussions and increase comfort levels. 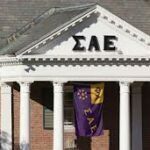 Have the fraternity leader start the discussion by asking members to write down 10 things they believe would help the group’s reputation and respect level among outsiders. Take 10 minutes to do this. At the end of 10 minutes, collect all the lists. Have the fraternity leader read from each and take a vote among members as to whether it is a plausible activity or not. Take another 15 minutes for this discussion. 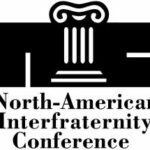 Be sure to publicize how your fraternity values member input to keep your organization alive. Potential members love to know they have a say in what is happening. Fraternities that support unique philanthropic causes will stand out from the rest. Instead of volunteering for large, national charities, concentrate on serving your local community. Volunteering services for a cause such as rebuilding a local community member’s house that was burnt down will enhance your reputation among the community. Let the media know about how your fraternity is helping a nonprofit organization by submitting press releases, both online and offline, to your local media. Also encourage brothers to share news with their social media network to increase awareness. Volunteering increases respect and trust levels, plus shows that your fraternity cares about something other than itself. Everyone likes to see this. Let your brothers know that volunteering is a great way to build resumes and increase skill sets. Instead of asking traditional questions, such as “what’s your major?,” “where are you from?”, etc., ask creative ones that will leave a lasting impression. Ask what their favorite part of your organization is. Why do they want to join your fraternity? Where’s their favorite vacation place? Or, where do they want to go and why? Being creative is a sure-fire way to help your fraternity stand out from the rest. Frank Blorn is a fraternity brother who takes pride in sharing the benefits of brotherhood with readers. He has published over 100 fraternity-related articles, both online and offline, to help others understand the lifestyle. He also writes for Degree Jungle, a resource for university students.